As 2017 winds down and a new year begins tomorrow, I’m looking back on another year of blogging for the Hillsborough Yarn Shop – my eighth. Taking the photos and writing the text that fill these posts is one of the great pleasures of my work here at the shop, and I’m always so pleased to hear that people enjoy reading along. Let’s look back together, then, and I’ll share a few of my favorite posts and memories of the year. Hello, Brooklyn Tweed: We were beyond excited to introduce Brooklyn Tweed yarns to our shop this year, and honestly the excitement hasn’t yet worn off! 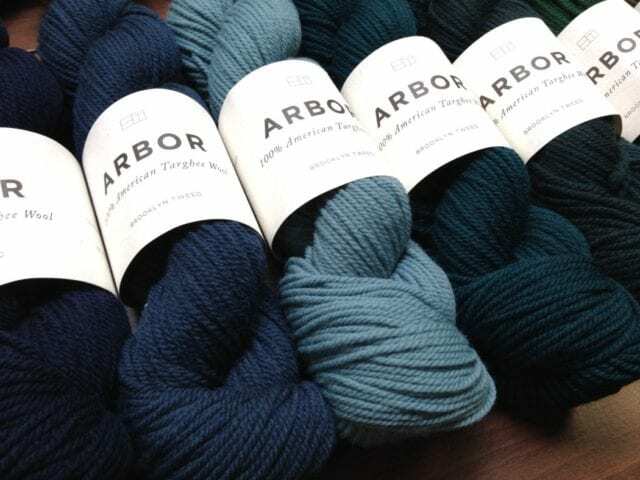 I knit a hat and a sweater in Shelter, another hat in Arbor, a scarf in Quarry, and still when I daydream about future projects, I’m daydreaming about Brooklyn Tweed yarns. What’s winding: This little post about a bit of furniture rearranging in the front room of the shop turns out to be among my favorites this year. 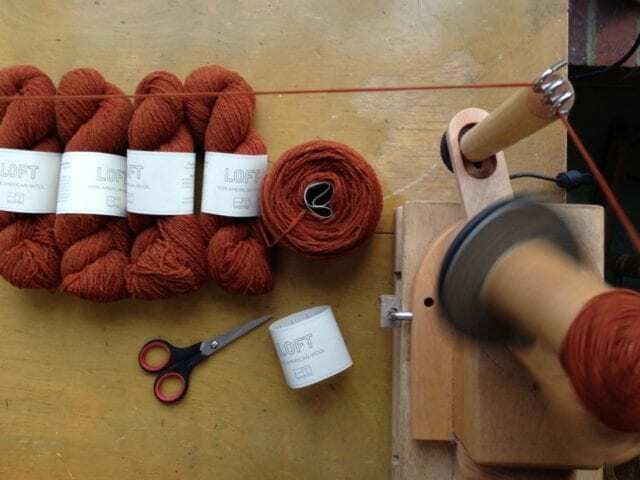 Our dedicated yarn-winding station has an old table at its foundation, one that belonged to Anne’s mother, so I often think of her as I wind yarn, and how everyday objects can be imbued with such meaning. 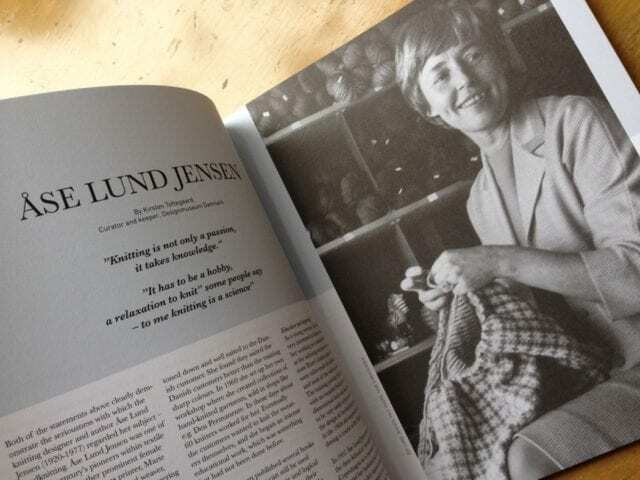 Ase Lund Jensen: Marianne Isager’s tribute to her mentor is a beautiful book of knitting history as well as knitting patterns, one I devoured in a single sitting and will surely return to for inspiration. The newest Isager yarn is named for the subject of this book, Danish designer Ase Lund Jensen, and it’s one of my favorite yarns to arrive at the shop this year. Akerworks Swatch Gauge: This clever tool helps to measure gauge, and while it’s perfectly possible to do so without it, I’m happier with this little gadget in my toolkit. 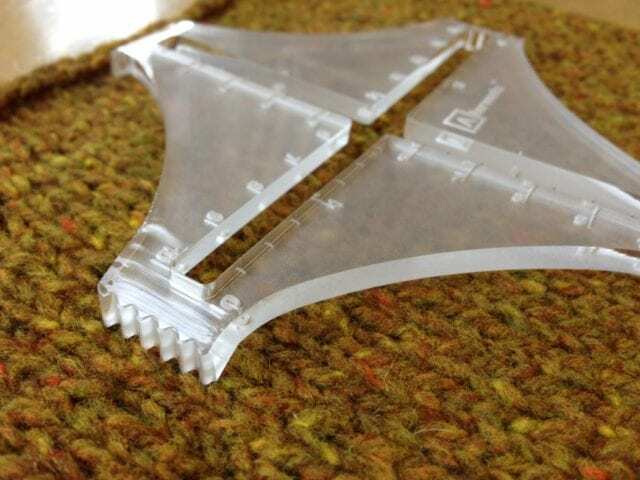 It encourages larger swatches and hands-off measuring, for honest swatching and garments that come out the right size. 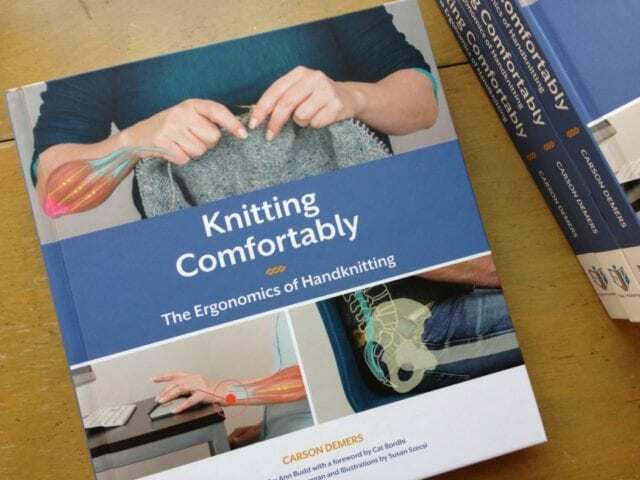 Knitting Comfortably: Carson Demers’ book on the ergonomics of handknitting has already changed the way I knit, and I intend to continue my study of it well into the new year, practicing healthier ways of moving my hands and positioning my body to minimize the risk of injury as best I can. We quickly sold out of our first order, just as Demers sold out of his first edition, but fear not – our next batch of this popular book will likely arrive in January! Thank you so much, dear readers, for spending time with us at the shop and on the blog. We appreciate your support and look forward to starting new projects in 2018 – happy new year to you!